Scientists at the International Rice Research Institute (IRRI) have released two new high-yielding rice varieties dubbed Komboka and Tai. The new rice varieties not only show promise of boosting farmers’ yields, but they also have certain grain qualities, such as aroma and soft texture during cooking, that meet the preferences of consumers in Tanzania. Read more about this new development in the article, New rice in Tanzania to boost production. 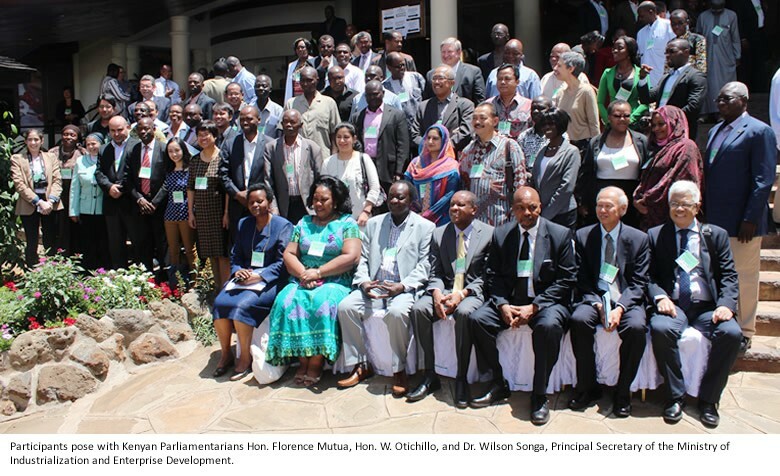 The Agricultural Research Connections workshops will take place summer 2013 in Nairobi, Kenya. The goal of these unique workshops is to catalyze new international research partnerships among high-calibre scientists doing agricultural research with the potential to create new pathways out of poverty for African farming families. 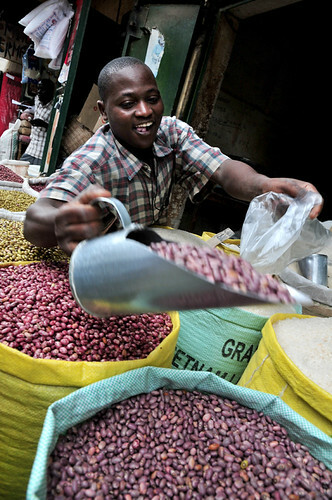 In addition to learning about agriculture in Kenya, participating scientists will tour regional laboratories and facilities, visit local farmers and engage in discussion sessions to explore with other workshop participants possible collaborations that could contribute to the advancement of agriculture in sub-Saharan Africa. Prior international experience is not required and first-time visitors to Africa and early career scientists are especially encouraged to apply. If you are interested in participating, please complete the online application by 15 May 2013. For more information and to apply, visit http://www.regonline.com/2013agriculturalresearchconnectionsworkshop. 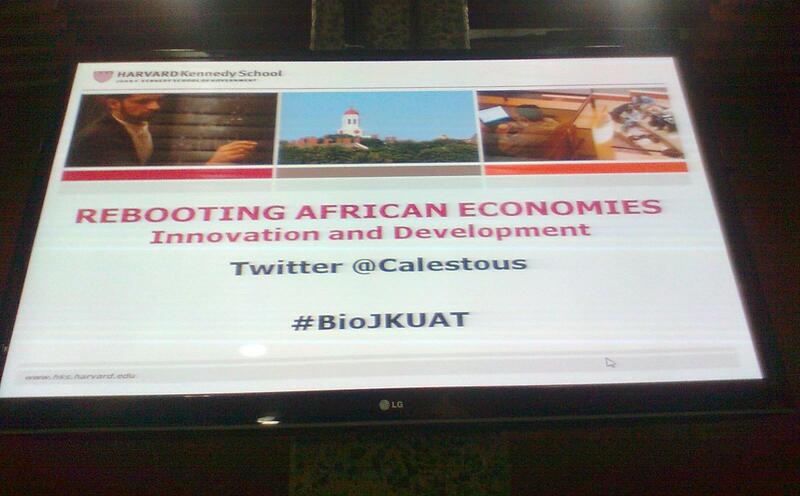 Earlier this week on Tuesday afternoon, I was down at the Kenyatta International Conference Centre for a public lecture by Prof Calestous Juma on the topic, Rebooting African Economies:Innovation for Economic Development. 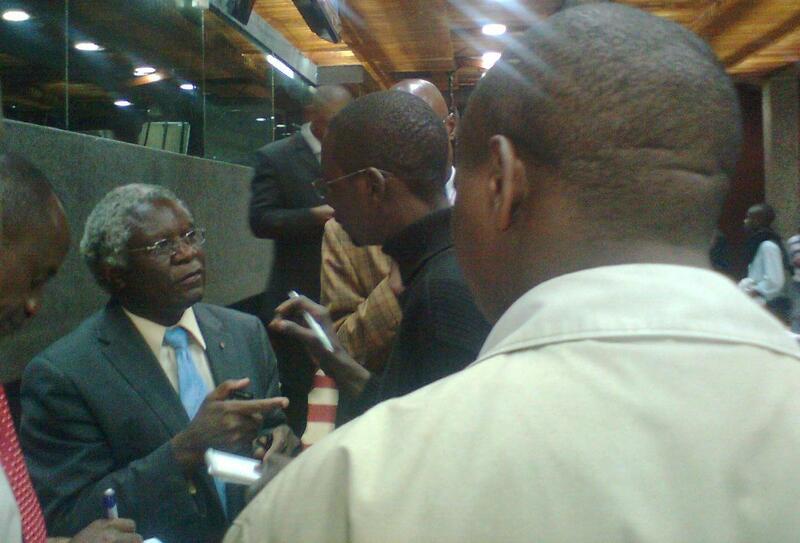 Prof Juma is a professor of the Practice of International Development at the Harvard Kennedy School. 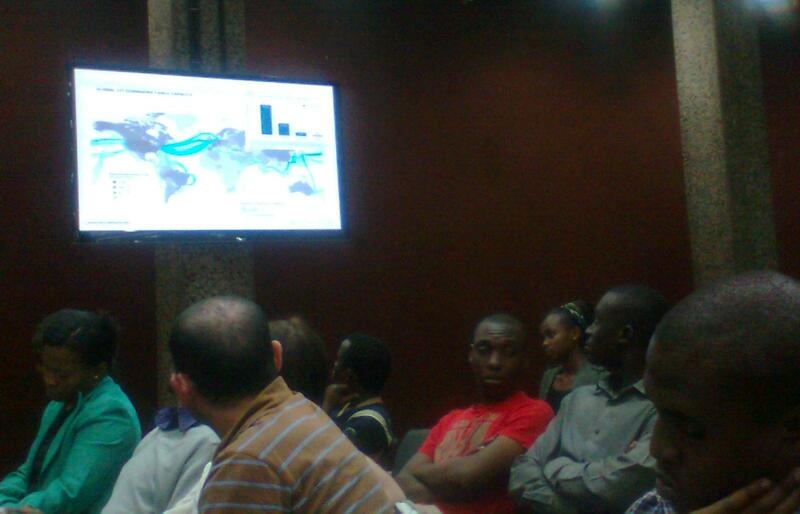 The lecture was sponsored by the Jomo Kenyatta University of Agriculture and Technology (JKUAT) and the US government. During his introduction, Prof Juma talked about a series of “waves of innovation” each of which was associated with an expansion of economic space. He sees the next innovation wave as focusing on issues such as the green economy, renewable energy, biotechnology and sustainability, and Africa stands to benefit from this new innovation wave. Key to taking advantage of this will be investment in the life sciences to help Africa leap-frog ahead of the front-runner countries that benefited from the previous waves. The rapid decline in the cost of generating research knowledge (e.g. cost of DNA sequencing has drastically reduced in the past 4 years), the spread of high-speed internet connectivity and the mobile economy boom are among the drivers of Africa’s development in science, technology and innovation. The main focus of the talk was on the economic, environmental and health impacts of biotechnology supported by examples of peer-reviewed research findings. There’s a high rate of adoption of biotech crops globally with the highest rate in Asia. Though the actual hectarage may be disputed by some, there is agreement that there is a general trend towards increased adoption of GM crops globally. In the USA, unintended consequences of GM crops were found to be beneficial. A study by Hutchison et al. (2010) published in the journal Science reports that Bt corn had a beneficial effect on neighbouring non-Bt corn farms whereby pesticide use was reduced. This was replicated in China where Bt cotton suppressed the pink bollworm on non-Bt cotton (Wan et al., 2010). A review by Snell et al. (2012) published in the journal Food and Chemical Toxicology examined the health impacts of GM crops and found that existing GM crops and non-GM crops have similar risk profiles. In other words, GM crops and their non-GM counterparts are nutritionally equivalent and can be safely used as food. After the talk, there was a vibrant question & answer session that saw contributions from a lawyer, an MP, university lecturers, a student and an NGO representative, among others. The main eye-opener for me was in relation to the potential applications of polymer science and technology and nanotechnology. Prof Juma gave an example of how nanotechnology can be used to develop a material that absorbs water that is available only to a growing plant… imagine the potential this holds for boosting dryland farming! Admittedly, nanotechnology is still a new area for me but one well worth reading more about! In fact, a representative from the National Council for Science and Technology mentioned that they are on track towards developing a nanotechnology policy for Kenya so much so that they’ve incorporated it into their performance contracts for the coming year. Looks like nanotech is the next big thing in science, technology and innovation! 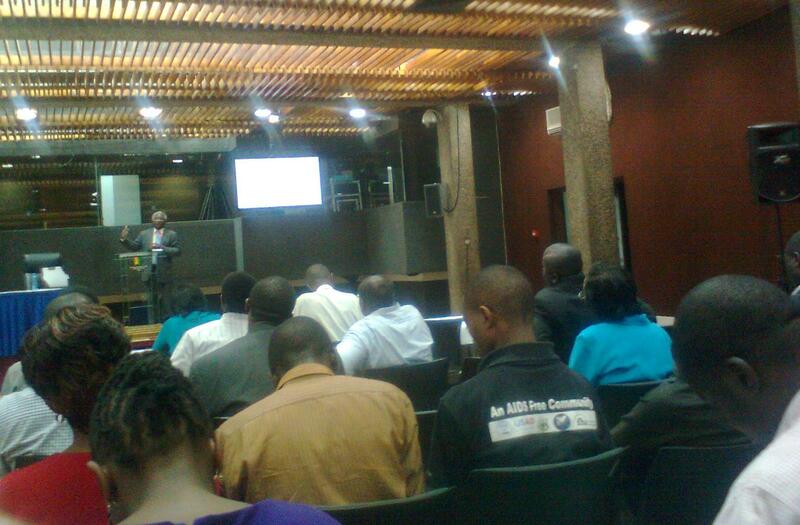 Another key take-home message was that a lot of biotechnology research in Kenya is financed by public funds from the National Council of Science and Technology and is being done in our public universities (Kenyatta University, for example, has a Biosafety Level 2 lab) by Kenyan scientists for the benefit of the Kenyan people. This effectively debunks the oft-cited line that the agri-biotechnology research agenda in Kenya is largely in the hands of foreign multinational companies (read Monsanto). I had a brief chat with a researcher from Kenyatta University who is working on genetic modification of sweetpotato and cassava to make them pest resistant and thus reduce the levels of post-harvest losses. 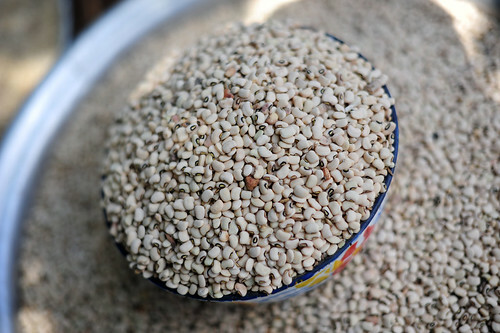 Both these staple crops are important energy sources in Kenya and much of Africa and boosting their productivity would go a long way in improving not just nutrition and food security but also the incomes of the smallholder farmers who grow these crops. All in all, it was an afternoon well spent. I learned a lot of new stuff and also got a lot of links to reading material. Prof was in a rush to head off to another meeting but the press wouldn’t let him go and kept asking him endless questions so I barely managed to say a quick ‘Hello’ and shake his hand before his JKUAT hosts whisked him away! Thankfully, he is quite accessible on Twitter (@Calestous) so the conversations continued on that platform! The final word from Prof: “There are more risks if Africa does nothing than if it does something… and that something is adoption of biotechnology”.